At the beginning of 2016, Doncaster based Noone dealership, Minis to Midis, operated on a staff of five; mostly family members. They have doubled this number and by 1 September, a new General Manager will be in place. Kirsty Flatt caught up with Company Director, Alan White to meet some of the new team members. It’s been a year since I last visited Minis to Midis at their base in Doncaster and a lot has happened. Minis to Midis now operates accross two sites on the Kirk Sandall industrial estate; their main office which has just benefitted from a refurbishment and a second site across the road which acts as a workshop and vehicle store. Unit 8, the original site, is the company’s head office and is where the suite of offices is located. There is also a large floor area which acts as a showroom where stock vehicles are available for visitors to view. A mezzanine area has been completed and now houses an air conditioned parts office, the financial and administration office, kitchen and storage area. On the lower level, leading on from reception, two meeting rooms adjoin, with patio doors dividing them, allowing for the two rooms to become one and by pushing tables together, they effectively have a larger boardroom. At the far end of the unit there is a two level glass storage area with racking for the replacement glass and screens which they offer across their product range. 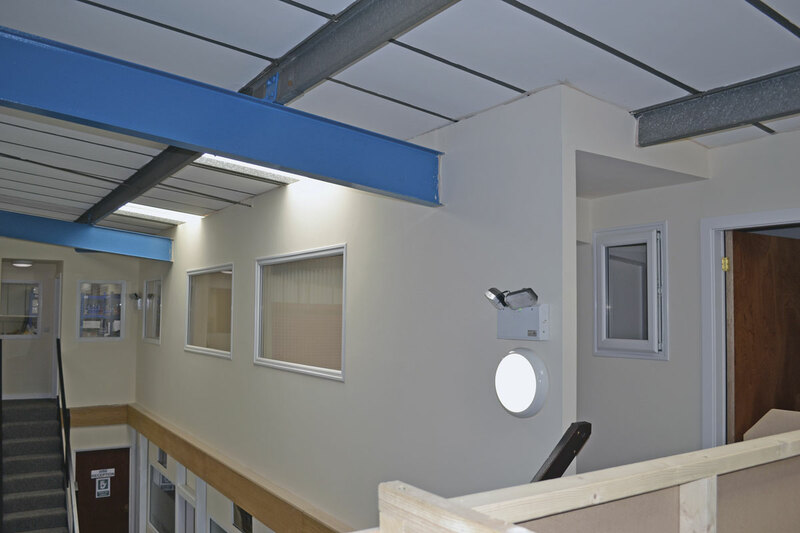 The second unit, situated just across the road, is more of a workshop area, where pre-delivery inspections take place prior to handover and where any service work is completed. 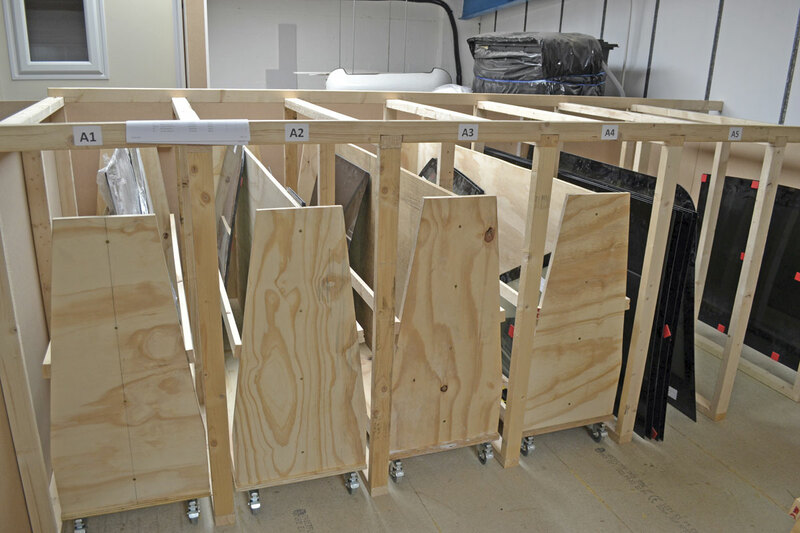 It is also used as additional storage for stock and demonstrator vehicles. Despite a considerable investment in both sites, such is the business growth that it is now close to having outgrown the area available. Having recently become a father, Jamie, Alan’s son, is now settled into his role as Aftercare Manager. A recent investment of £5k has helped to upgrade their database which has joined their CRM system and their vehicle log together to provide one, comprehensive record. This also links directly into their stock system and they now take instant card payments over the phone, relieving the need for invoicing. Jamie’s step-daughter, Neme Eaton, has joined the company as a Business Administration Apprentice, having just completed a business course at college. 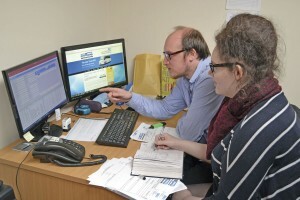 She has spent time with Jamie familiarising herself with the different systems and Alan is delighted to have a young person on board that can help with some of the marketing and IT opportunities that arise and is also another family member! To help Alan’s brother Steve, who is the Sales Manager for the company, they have appointed Jill Eames as Sales Administrator. Jill comes from a commercial vehicle background having previously supplied to Minis to Midis whilst employed by Northside Truck and Van Ltd, a Mercedes-Benz dealership with a branch in Doncaster. Meanwhile, Susan Wainwright has joined the team as a receptionist and administrator. Mark Chandler has joined them as Service Manager from Yorkshire Bus and Coach Sales, one of their eight appointed service contractors around the country. The Doncaster site looks after the central England and Midlands area and because of the volume of orders past and predicted, they have appointed Terry Fields as an additional Service Technician. Alan described Terry as a ‘part-timer who works five days a week’. A former operator, he is well known to the family and his son previously worked for Esker. He will be responsible for the final PDI’s prior to customer collection and will also undertake any service work as well as assisting with after market support on the bodywork. Mark will join Minis to Midis on 1 September, the same date as the new General Manager. By agreement with his existing employer no announcement can yet be made. All that Alan was prepared to say was that he was ‘delighted by the acceptance offer of the new General Manager’ adding, ‘He will be a great asset to this family business. He will come in at ground level to a financially secure business and with his industry background, it means that Kathryn and I will be able to take a step back in to semi-retirement.’ He will initially concentrate on the sales side of the business, overseeing Steve, with a view to appointing an additional Sales Manager. 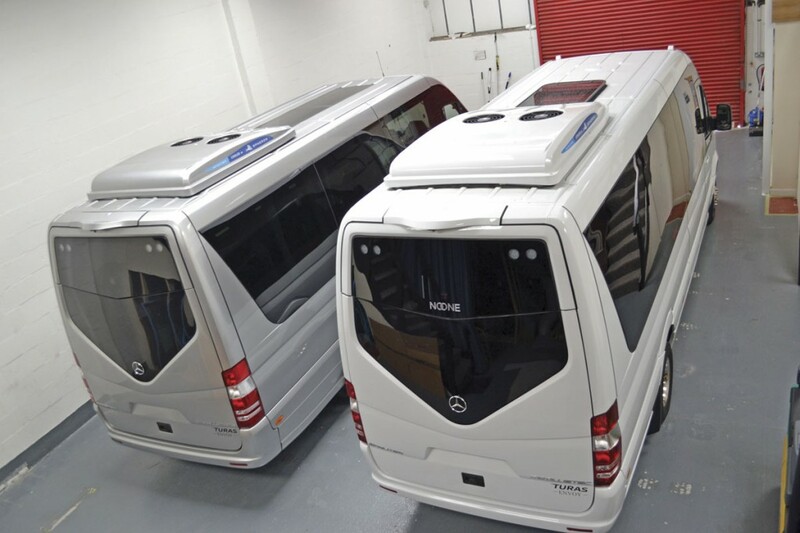 As our mini and midi bus and coach expert, Rob Orchard, has covered or is due to cover the range of vehicles for Bus and Coach Buyer, I won’t go into too much detail here, but it is worth noting a few updates. The Turas 900 is very much available, as Rob reported (B&CB 24 June, Issue 1384). Predicted 2016 sales for the 33 seat coach built midi coach, on the converted Mercedes-Benz Atego chassis are 90, all of which should be delivered by the end of September. 60% of these orders have come from Minis to Midis with Noone generating the remainder. The new improved, version has proven very popular with customers as has the Turas 700, the alternative Vario replacement which is built on an Iveco chassis and seats up to 29 plus courier. It has been a bigger success story for Noone, having taken approximately 70% of the 55 expected sales and Alan accredits this mainly to priority on the Turas 900 being given to UK customers and so the sales of the 700 were stronger in Eire. Meanwhile, the Turas 700 now has the option of the eight speed Hi-matic ZF automatic gearbox, which offers a smoother and quieter change. The first vehicles with this gearbox were delivered two months ago. Such is its success, Alan anticipates that this will become standard and the manual will become the option. The 500 range has been streamlined and the coach built 500C, which had three entry levels, effectively basic, standard and luxury, have all been replaced by their Hi-line equivalent and rebranded as the Envoy. The Envoy has had improved styling, including full height entry door, hi-line windows, driver’s sunroof, CD player and leather seating. An extended length is also available and both 500s have VIP options and can seat up to 19. Earlier in the year, Brian Noone Ltd became the official distributor for Otokar midi coaches in the Republic of Ireland, Northern Ireland, the Channel Islands and the United Kingdom, with Minis to Midis taking on the distribution for Britain. 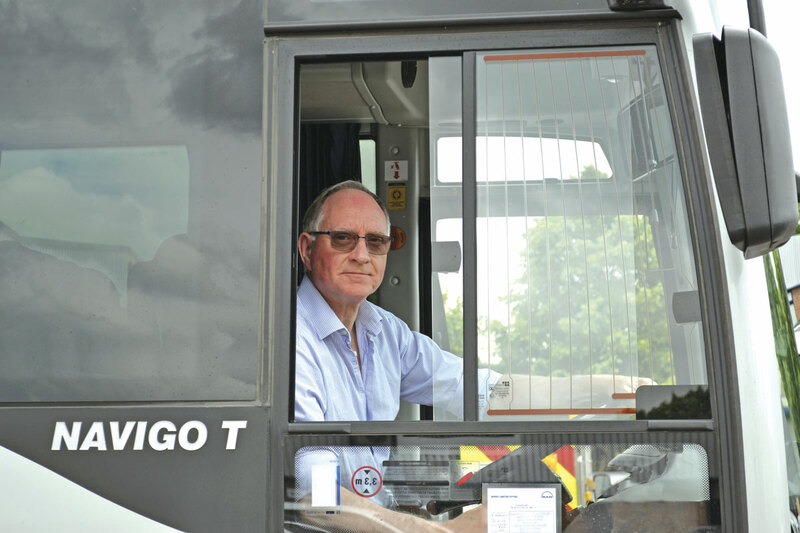 At the moment, the range is limited to the 37 plus courier Navigo T which is in its second transition, having relocated the emergency door and increased the luggage capacity to approximately 4m3 with additional under seat storage. There are no plans to extend into the next level Otokar product at 39-41 seats as they feel that this is a highly competitive market already, although it may be something to consider in the future. Additionally, there has been no discussion to digress into the bus market, although Noone and Minis to Midis are assisting Otokar in this market. Alan commented that initially there was a little bit of uncertainty from operators with regards to the rather unknown Otokar brand, adding, ‘once they do their research and know the scale of the operation and the way it is built, they are soon reassured. It’s a big asset to our range.’ There is technical support for the product based near Charles de Gaulle airport in Paris with next day delivery on parts and both Noone and Minis to Midis staff have had air-conditioning training and stock a number of key replacement components. It also has the advantage of a Cummins engine and Allison gearbox which are fully supported by the manufacturers. The first Navigo T’s are already in operation and during my visit, Tilley’s Coaches of Bude’s was going through its final PDI. The first went to Hardings Coaches of Betchworth and orders for the first ten of the 15 allocated for the year have been placed, being equally distributed between the two companies. Alan anticipates future sales to be between 20-25 each. With the Turas 500 starting at nine plus driver for the VIP version, this offers them an extensive vehicle range of 9-37 seats. Operationally, Minis to Midis have had to factor in delays in IVA (Individual Vehicle Approval) and DVLA processing when determining delivery times, which has sometimes added on an additional six to eight weeks. To overcome this, Noone are moving towards full Certificate of Conformity, which the Otokar product already has. As the now defunct Turas 800 has been around for a couple of years, there is more need to stock replacement parts and the most common request is for mirrors or glass for these vehicles. 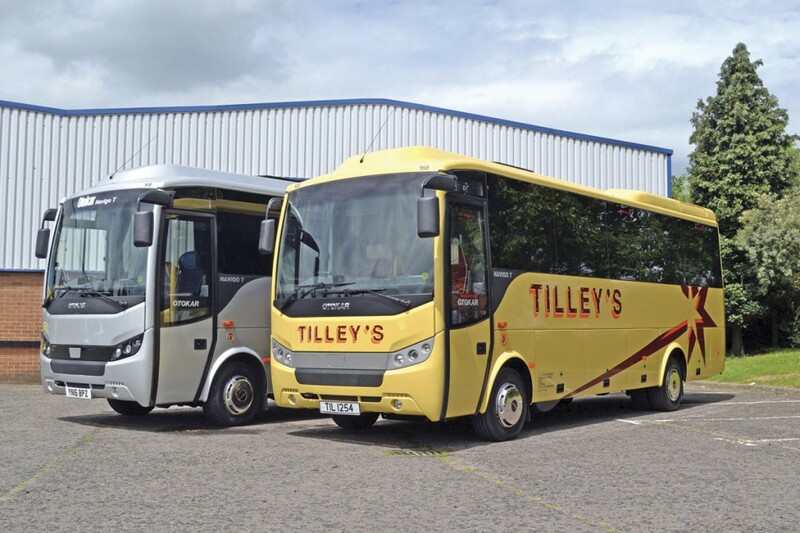 Windscreens and other key glass parts are held at three locations, Coachtech Assist in Motherwell, Minis to Midis in Doncaster and GB Fleet Maintenance (Golden Boy) in Hertfordshire. Minis to Midis’ own glass stock area has increased by 50% and forms a hub for all glass stock for all models. 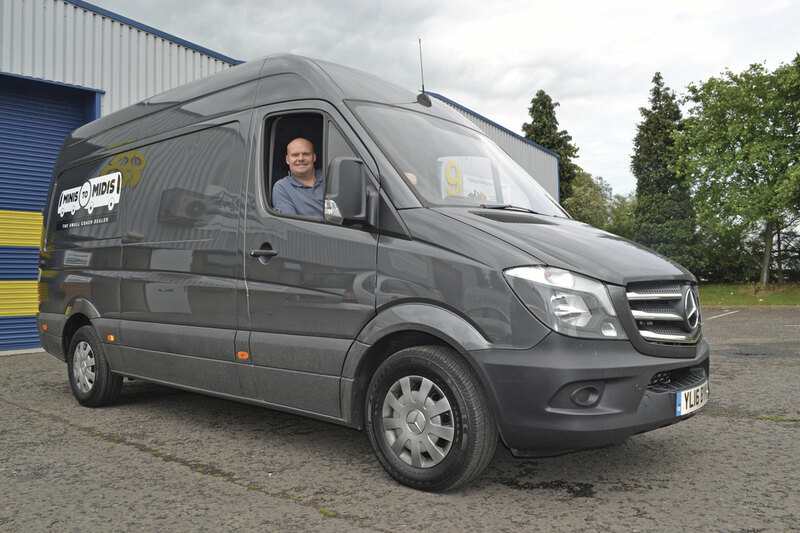 They also offer a rapid response service and can often meet customers half way in their purposely adapted Mercedes-Benz Sprinter Support Vehicle which has been kitted out with racking. They only charge for mileage on this service as they see it as essential sales support. Now that all the models are delivered via Noone and not direct from Portugal or Turkey, the vehicles will have already have had a pre-delivery inspection before being supplied to Minis to Midis. The drive from Ireland to Doncaster gives the Minis to Midis staff a unique opportunity to become very familiar with the product range and they can then pass on their information to the customer. Turnover for Minis to Midis for 2015 was £5m and £7m is expected at the close of this financial year. Alan’s target going forward is £10m and to achieve this he believes that Minis to Midis need to sell between 100-120 new vehicles and approximately 20 used each year. It is hoped that the new General Manager will take the expansion plans forward in terms of the number of vehicles sold and relocating the business to larger premises. Alan suggests that 10,000sqft would be needed to house the mezzanine (which has been built to be transportable), a small showroom, yard and handover area. No new ranges are imminent. Both Minis to Midis and Noone plan to look at the niches within their market and continue to improve and perfect their current range. Alan might even find the time to write those children’s books! I have already had an insight into ‘Geoff the lorry driver’ and ‘Bert the shunter’ plucked from Alan’s own adventurous childhood and I look forward to reading the finished works.